This web course has been designed to help individuals understand the fundamentals of evidence-based healthcare concepts and skills. The course is free, but you have to register. The course was created by the United States Cochrane Center as part of a project undertaken by Consumers United for Evidence-based Healthcare (CUE), and is designed to help consumer advocates understand the fundamentals of evidence-based healthcare concepts and skills. Registration is open and free of charge. Participants are encouraged to finish the course in three months. The developers recommend that participants complete only 1-2 modules at a time. Participants must commit to filling out evaluation forms upon completion of each module. Hola Amanda, Ian et al. 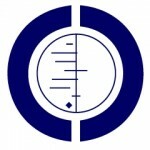 As a long standing member of the Cochrane Consumer Network, I would like to take this course. Is the CCN registered and how do I enrol. If you are not sure whether your organisation is enrolled or not, I guess that would be the best place to try first. We at Testing Treatments interactive aren’t directly involved in the course, we just included it because we like it and think it’s useful for our readers. Glad that you agree!